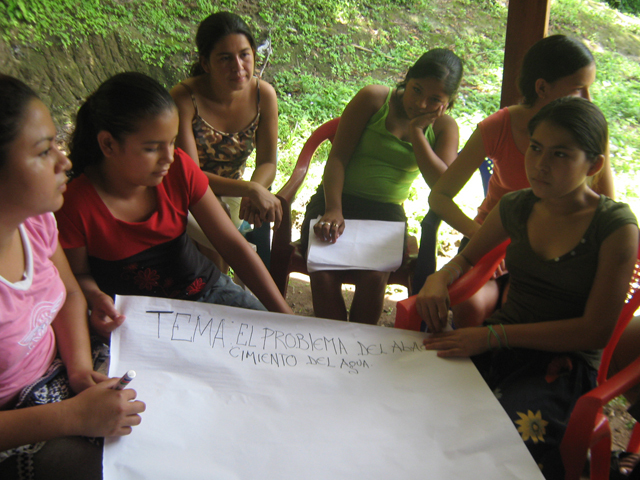 In El Salvador women have few participation and influence spaces in the local development, due to the weakness of public policies and institutions and to the traditional roles for women that have not allowed them to exercise their rights and to achieve their economic autonomy. This situation has compelled us to focus particularly on women, who have been historically excluded from the benefits of development. Gaps in education (only 47% of women have access), health (130% of maternal mortality), employment (only 25% of access to employment), political participation (13% of female participation), compared with men, have been maintained, preventing them from exercising their right to access to education and a decent work. To enhance the municipal gender units of Tecoluca and Zacatecoluca municipalities with the aim of improving woman care and services by means of their municipal plans and programmes. To strengthen women’s organisation to promote their rights and to improve opportunities for participation and incidence in social, economic and cultural development of the municipalities. To strengthen management capacity, utilization of tools and equipment of the economic initiatives driven by enterprising women, in order to improve their family and autonomy income by using the microMBA methodology. This project will provide continuity and strengthen to previous actions that had promoted community organization and women entrepreneurship training.